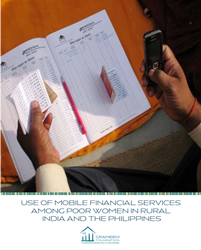 These studies aim to understand how mobile phone technology and its usability is impacting poor women’s ability to access and benefit from mobile financial services. Many players assume that if a poor person owns a mobile phone, they are able to use it. We have found that this is a faulty assumption, and believe that usability and “mobile phone literacy” are big issues that are preventing poor women in particular to benefit from mobile-enabled solutions. Our intention is to demonstrate the specific challenges and constraints women, in particular, face in using/accessing a mobile delivery channel for financial services. These findings will be used to influence commercial players (mobile money operators, banks, technology service providers, agent network managers) as well as back-end technology and hardware designers to address usability issues that are preventing poor women from benefitting from mobile financial services.